All anyone can seem to think about is the return of Game Of Thrones on Sunday, but it’s our duty to remind you that HBO also has two other beloved (albeit very different) programs coming back this weekend. 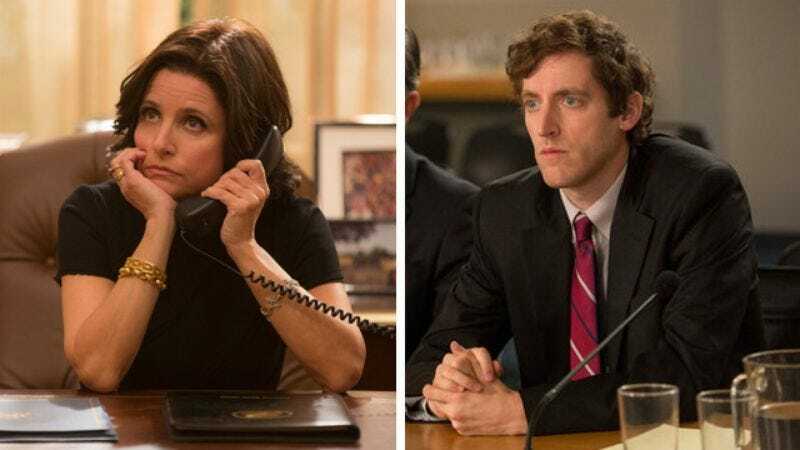 On April 24, both Veep and Silicon Valley make their triumphant returns to the network for their fifth and third seasons, respectively. And, just like Thrones’ off-the-books sixth season, both sitcoms will be venturing into uncharted territory this year. Veep, for one, will be dealing with the aftermath of last season’s election, but, perhaps more crucially, will be tackling its first season without mastermind Armando Iannucci at the helm. And Silicon Valley’s next season will check back in with Richard and the Pied Piper team, fresh off of a major legal win and a substantive personal blow. In anticipation of the new episodes, HBO has just released the most recent seasons of both shows on Blu-ray and DVD. Whether you’re a tried-and-true fan or still hoping to get caught up, The A.V. Club has a special opportunity for you to win a copy of both Veep: The Complete Fourth Season and Silicon Valley: The Complete Second Season on Blu-ray, each featuring deleted scenes and more. For your chance to win, simply send an email to avcontests@theonion.com with the subject line “Vote Selina.” Be sure to include your name and mailing address in the body of the email. U.S. entrants only. On Tuesday, April 26, we’ll select three winners from our eligible entries and notify them shortly thereafter. Estimated retail value for the prize package is $69.96. You can watch trailers for each show’s upcoming season below.